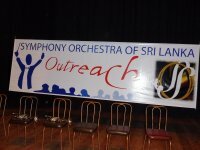 Continuing the annual Free Outreach concerts, the Symphony Orchestra of Sri Lanka, presented this concert on July 8th, 2018, in Kurunegala at the Maliyadeva Girls High School hall. 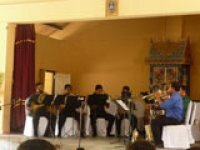 With the generous support of an anonymous donor who requested that the outreach be extended to students beyond Colombo, the SOSL chose to offer this free concert to the students in the Kurunegala, Matale and Kandy Districts. 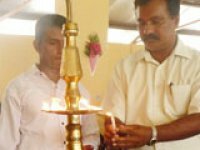 56 schools were invited. 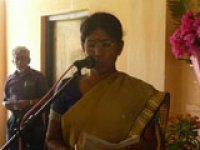 Over 500 students, parents & teachers from 19 schools from the three districts attended the concert. 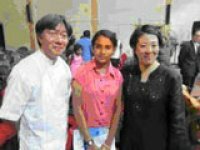 Thanks to the support and generosity of the HSBC Bank the SOSL Continued the tradition of the annual Free Outreach concerts which commenced in 2013. 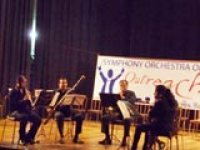 The Symphony Orchestra of Sri Lanka entertained and educated over 700 students at the Ladies’ College Hall, on September 18th, 2016. 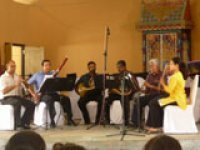 Students of music, from over 20 Schools in Colombo, the Greater Colombo Area and from Jaffna, along with parents and teachers, attended this free concert. 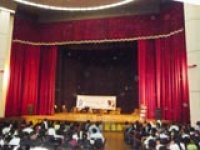 As this concert was held under the auspices of the Ministry of Education, the SOSL gave time to introducing the different instruments of the various sections of the orchestra and demonstrating the timbre and tone of each of the instruments. In our efforts to attract more young children to the genre of symphonic music, the SOSL performed a program, which was described as an “auditory feast of favourites, from pop to jazz, to film music”. The response and reaction of the audience was clear through the passionate applause after each and every item performed. Many in the audience were hearing a live orchestra for the first time and the most common response (provided in the feedback questionnaire) was that it was an “awesome” experience. 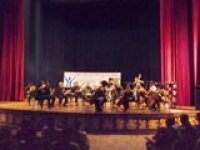 Sponsored by HSBC, The Symphony Orchestra of Sri Lanka performed a free concert for students on August 2nd 2015 at the Navarangahala Hall in Colombo. 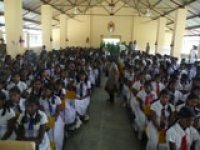 Over 600 students attended from schools in Colombo, outside Colombo, down South and as far off as Jaffna. These were mostly students of western classical music theory, but many in the audience were youngsters who had just begun to learn musical instruments. 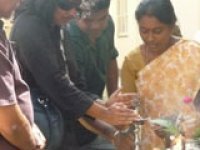 The response and feedback from the students was overwhelmingly positive. As much as the audience was entertained by the diversity of the program of movie themes, they were also given an educational insight into the instruments and their role in an orchestra. 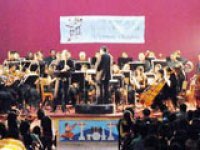 HSBC once again rendered its support to the Symphony Orchestra by sponsoring the Outreach Concert for students of music from over 35 schools in Colombo and out of Colombo. 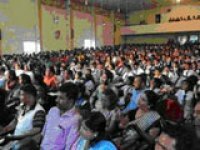 The hall was packed with over 800 students eagerly awaiting the thrilling program of film theme music that had been detailed in the program. 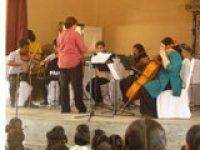 Not only were the students introduced to the different instruments of the orchestra, but they also learned how they were categorised according to their method of producing sound. Why did the SOSL use movie themes for an educational show? The answer is in the overwhelmingly positive response of the children who attended—who could recognize and enjoy the tunes and take pleasure from an enriching educational experience. 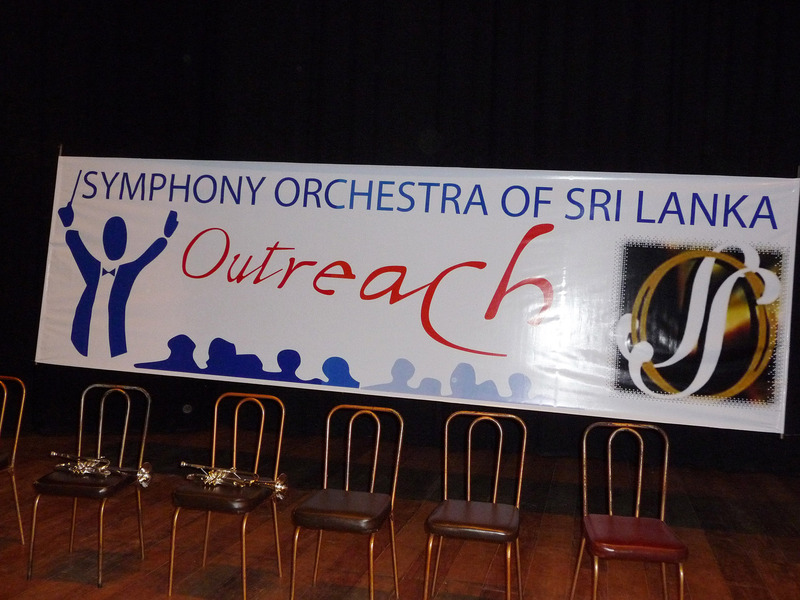 The Symphony Orchestra of Sri Lanka performed its first concert in Jaffna on November 17th, at the Veerasingham Hall. 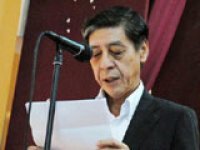 The concert was organized in collaboration with the Embassy of Japan as part of the Embassy's celebrations of the 60th anniversary of establishing diplomatic relations with Sri Lanka. 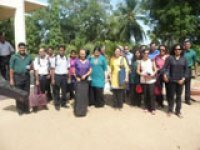 Our trip to Kilinochchi in the North of Sri Lanka, sponsored by the Royal Norwegian Embassy in Colombo was a most fulfilling experience for both the musicians and orchestra management. Many children came up to the musicians and asked questions (through the interpreter and directly) and conversed directly with the musicians. The teachers too were very happy with the concert as they too had never seen most of the instruments before. 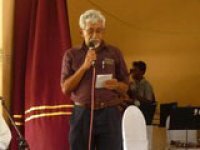 It was a very satisfying trip, and the SOSL plans to continue to take music to the far reaches of Sri Lanka in 2012. 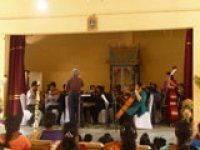 The first of our Outreach concerts took place in Galle on 24th April 2010. 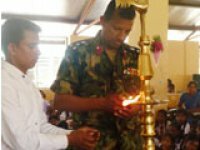 The Karapitiya Medical Faculty hall was packed with over 750 students from grades 7-11, all studying western music in the Galle and Matara districts. Musicians performing an arrangement of song Three ensembles - one woodwind, one string and one brass - took the stage in turn, performing works typical for each combination.